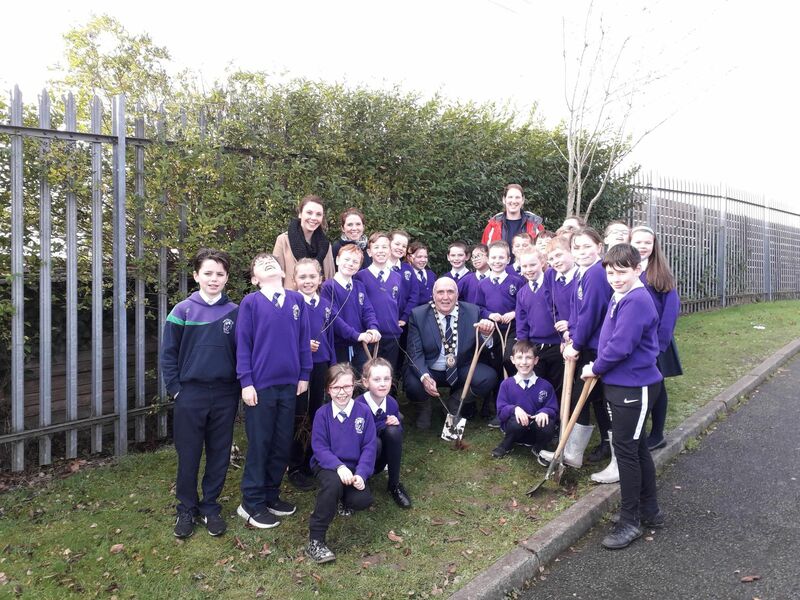 Fermanagh and Omagh District Council is ‘giving it welly’ for National Tree Week 2018 by kick starting its tree planting season with local primary school children. 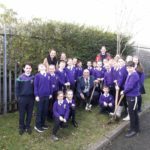 Chairman of Fermanagh and Omagh District Council, Councillor Howard Thornton, joined pupils from Holy Family Primary School, Omagh and Enniskillen Model Primary School to plant trees and encourage the children and their families to plant more trees at home or with their communities. National Tree Week, which is organised by the Tree Council and takes place from Saturday 24 November to Sunday 2 December 2018, is the UK’s largest tree celebration which aims to celebrate and create awareness of the importance of trees and woods and launches the start of the winter tree planting season. “It’s important we all do our bit for our local environment. Trees are vital as they give us oxygen, they store carbon and stabilise the soil and provide life for so much biodiversity. Fermanagh and Omagh District Council continues to strive to increase its tree planting throughout the district which includes the replacement of trees damaged in recent storms. The Council is also committed to working with others to help to increase woodland and tree cover in our district, through for example promotion of woodland creation schemes and free tree planting schemes. For more information on tree planting schemes or to register your interest in volunteering with us to help plant trees and support biodiversity in your local community please contact Fermanagh and Omagh District Council’s Biodiversity Officer, Julie Corry by telephoning 0300 303 1777, text phone 028 8225 6216 or email julie.corry@fermanaghomagh.com.